„Tiara” complex is situated in one of the most attractive areas of Sofia – in the south part of Lozenetz, facing South Park. This is one of the most prestige regions of the capital. 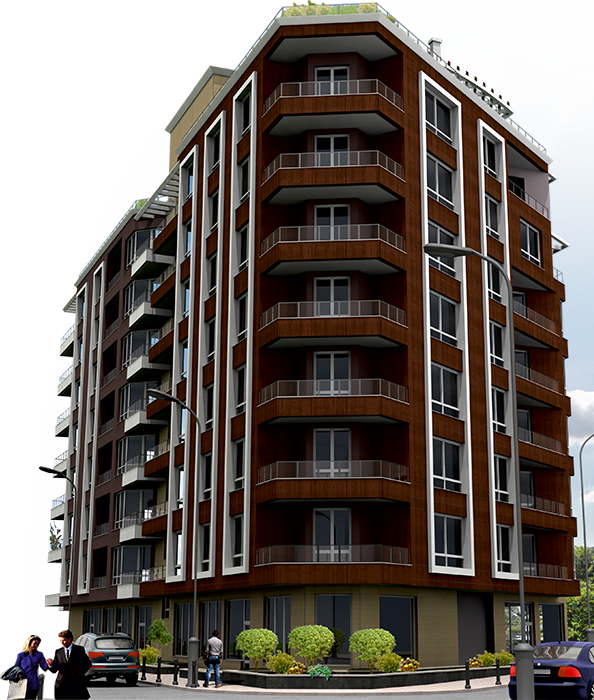 Built - up area and well designed infrastructure are rapidly developing in this area. Close to „Tiara” complex is Lozenetz Hospital, known as a Government Hospital, Tokuda Hospital, US Embassy, embassies of Syria, Indonesia, Afghanistan, business centers, Sofia Zoo Park. In the proximity of „Tiara” complex are Private Kindergarten “Dr. Petar Beron”, 7th United Kindergarten “Detelina”, DMSGD “St. Ivan Rilski”, 14th All-day Kindergarten “Fjut”, 93rd All-day Kindergarten and some schools – Private Primary School “Petar Beron”, 6th School for children with special needs, Private Secondary School “St. George”, 73rd Secondary School for foreign languages “Vladislav Gramatick”, 21st Secondary School “Hristo Botev”. North of the complex is the South Park – one of the favorite places to all Sofia citizens for a walk and respite. 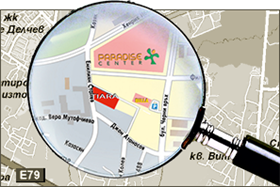 In the same direction right in front of “Tiara” complex is Paradise Center MALL. Less than 10 minutes by car in Sofia city downtown is National Palace of Culture. There is no production capacities near the „Tiara” complex there is a lot of greenery and the air is clean. Ski lifts and slopes of Vitosha mountain /other favorite place to Sofia citizens for respite in holidays and weekends/ are just 15 minutes away from „Tiara” complex. All information about the complex offline. In the catalog you will find information about location, distribution and quadratures /sizes/, materials used, parking places and a gallery of images of buildings. Here you can see the floor distributions of the complex. At your disposal is a submit question form.